Feeding Your Geek Gadget Habit! With today’s release of iOS 7.1, Apple has officially enabled CarPlay for recent iPhones (5, 5C and 5S models only) and vehicles that are equipped with the latest in Apple tech. What does Apple CarPlay do exactly? For starters, it’s the safest way to use your iPhone and key apps while you’re driving. 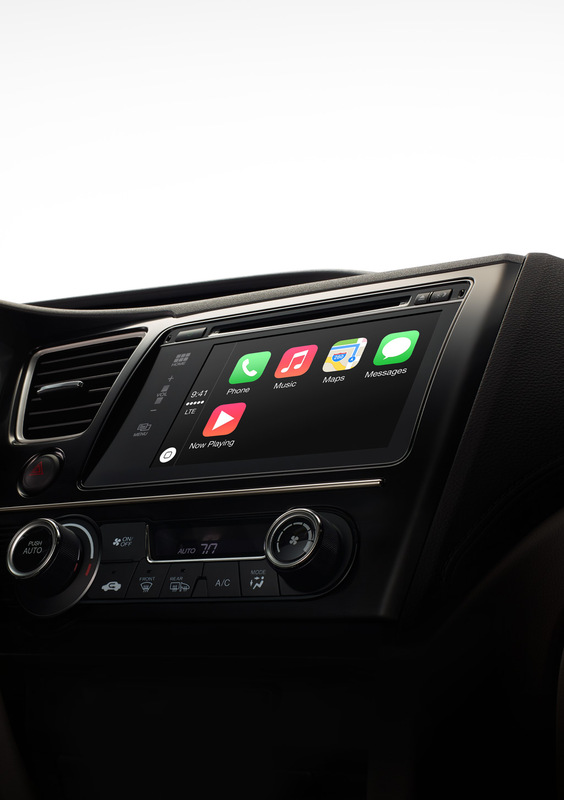 CarPlay leverages your new car’s large display to provide directions, make calls, send or receive messages, or even just listen to your iTunes playlists, in much the same way you’re already used to. Control your iPhone’s apps via Siri voice control, or use your car’s knobs, buttons or touchscreens to handle things while still keeping your eyes on the road. For 2014, a handful of auto manufacturers are already on-board to support CarPlay, including: Ferrari, Honda, Hyundai, Mercedes-Benz and Volvo. And, there are more makes and models on the way. What’s unclear is, whether CarPlay will be an option or standard in vehicles and how the auto-manufacturers might deal with Android users. You have to wonder if Google has something in the pipeline too. Americans may not be familiar with Pernod Ricard, but the French company is behind some of the biggest names in distilled spirits: Absolut Vodka, Beefeater Gin and Malibu Rum. So, it makes perfect sense they would collaborate on a web-connected liquor library device that promises to mix up the perfect cocktail. Called, “Project Gutenberg,” the system is visually pleasing and beautifully designed. Six separate aluminum book-sized containers each hold one type of liquor. A small pump attached to the containers are capable of dispensing a very precise amount of each alcohol into your glass of choice. What brings the system to life however, is the mobile app that both controls the liquor delivery system and allows the user to select their drink of choice. The app also monitors fluid levels in each container and automatically orders refills when you’re in danger of running out. When your refills arrive, simply click your new container into place and away you go. Check out the video to see how everything works, but keep in mind, this is only a concept. Company officials insist they have no plans to bring it to market at this time. 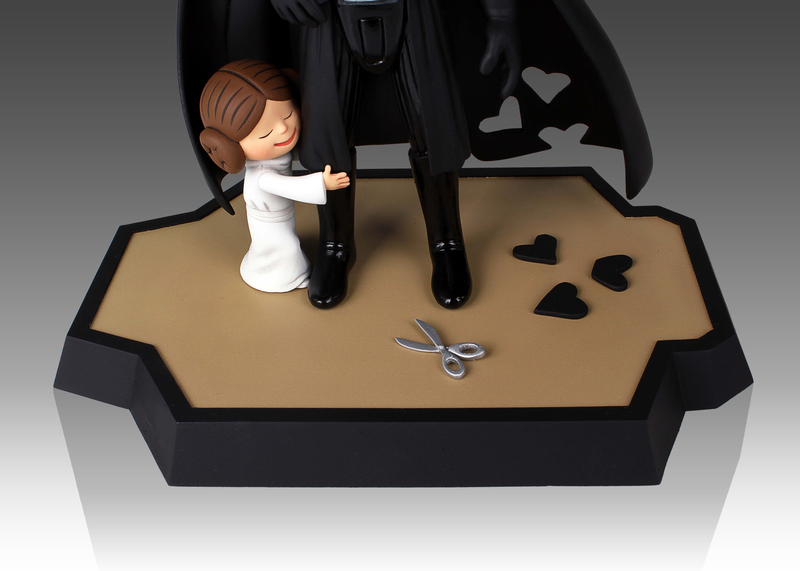 Quite possibly the coolest thing to come out of Gentle Giant Studios in a while, is the product of their recent partnership with Chronicle Books: Vader’s Little Princess and Darth Vader and Son Deluxe Maquettes. If you’re familiar with the book, you probably love this hilarious and sweet comic that re-imagines Darth Vader as a dad like any other-except with all the baggage of being the Dark Lord of the Sith. Traditionally sculpted by the Artisans at Gentle Giant Studios, no detail has been overlooked. A Rebel logo pattern was even added to the tie detail! Regardless of whether you choose the Darth Vader and Son or Vader’s Little Princess, you’ll also get a 16-page booklet featuring the original B&W sketches from Jeffrey Brown, a new full color illustration from the artist, and a very exclusive special edition of the book which is printed with color foil stamps and spot gloss varnish. Hit the jump for some great pix! 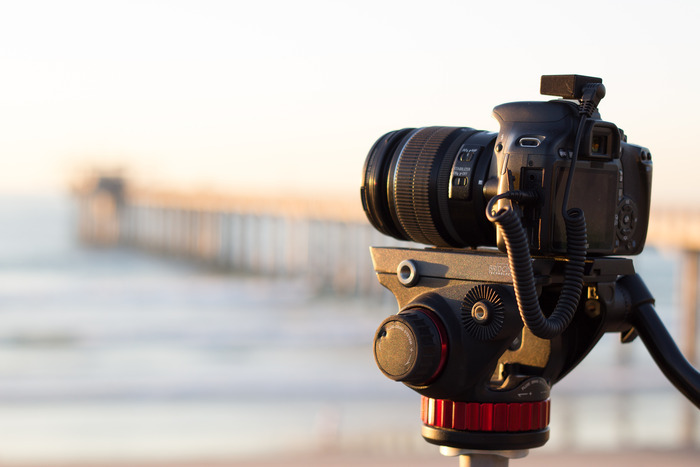 Creating fun and interesting time lapse videos should be a lot easier than it is. If you’re lucky, your camera offers an intervalometer feature, but for a lot of folks with lower-end cameras, it’s simply not even an option. And even when it is, there are things you wish you could do, but just cannot pull off. 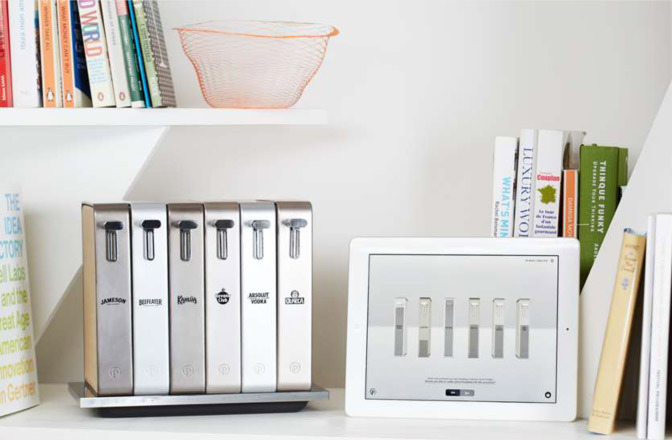 Enter VivoLabs “Michron” device, which aims to make things much easier on consumers. The Michron time lapse device started as a KickStarter, which funded in record time, with more than $234K pledged on a $40K goal. Obviously, there’s some pent-up demand for a simple, yet versatile device that just plugs in and works. The device has no buttons or controls, instead you program it via an Android or iOS app. There are some pre-set time lapse programs to choose from, or dig into the settings and you can even to interval ramping, bulb ramping (adjusts the shutter speed over time to make smooth light transitions), HDR bracketing, and even acts as a remote trigger via your smartphone! That last feature is a welcome one for me, because my Nikon dSLR does not offer remote triggering, but it does have an external trigger port that the Michron simply plugs into. The small device slides right into your camera’s hotshoe, where it’ll stay out of your way during shooting. 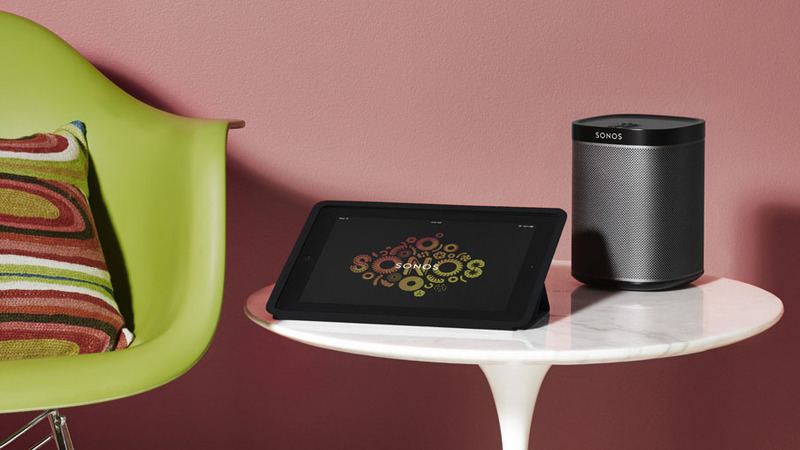 We’re huge fans of the Sonos wireless devices that bring the boom to our rooms without the huge setup hassle that is typically associated with wireless devices. That said, the all-new Play: 1 Wireless Speaker has us considering all of the nooks and crannies in our current residence that do not already have the Sonos hook-up. Smaller than the Play:3 and Play:5 units, this new unit still promises HiFi sound over WiFi. With two distinct and tuned Class D amps on-board, one 3.5″ mid-woofer to deliver the deep bass, and one tweeter to handle the high-frequencies, this puppy is ready to pump music into the smaller places of your house or office. Because it’s humidity-resistant, we immediately thought of the bathroom! However, at just a smidge over 4.5″ wide and 6.25″ tall, we’re sure you’ll find a place for it. $199 including a free Sonos Bridge. Sometimes you just want a drop-dead simple-to-install wireless cam to keep an eye on baby, or the backyard, or some crucial area of your domicile. We get that and we feel the new Dropcam Wifi video camera really fits that need perfectly. Dropcam promises a sub-minute setup time, HD video quality (720p) and a wide angle lens, so you’ll be up and monitoring your household in no time. Watching your stream is a snap too, with both iOS and Android apps to keep you in the loop when you’re on-the-go. Dropcam also lets you turn on and off the camera depending on your location, operate the zoom remotely, set activity alerts, listen (and talk back!) with 2-way audio, and keep an eye on things even when the sun dips beneath the horizon with automatic infrared LEDs. Dropcam also features tight security courtesy of its SSL encryption, so no more free shows for your nosy neighbors. Dropcam retails for $149. As if being a new parent weren’t nerve-wracking enough, newborns are notorious for getting themselves into all manner of trouble while sleeping. SIDS is a real concern and as parents, we’re always taking steps to ensure their crib or sleeping area is stripped of blankets, pillows or anything a newborn could suffocate on. Technology to the rescue! The Owlet baby monitor is effectively a high-tech sock your newborn wears and it will broadcast all sorts of data directly to your smartphone. Watch your child’s heart rate, oxygen levels, skin temperature, sleep quality and most importantly, get roll-over alerts for when your child goes face down. This new smart sock can stay powered up for two full days, so stressing out about your newborn’s sleeping habits is practically a thing of the past. Currently a crowd-funded product, the makers expect it to be available in Fall of 2013. Starts at $159. Taking immersive spherical images just got a whole lot easier. Small enough to jam in your pocket, the Theta streamlines the process of taking spherical images with no need to compose your shot in any way. Just hold it at any angle and hit the button. Unlike a standard photograph, you can fully control and explore the resulting image. Move around the picture and experience photography in a whole new way. And, if you’d like to share your resulting masterpiece, blast it off to your smartphone via the baked-in WiFi, and then one tap whisks your image over to Twitter, Facebook or Tumblr. Available to purchase on September 17th. $399. And just like that, the smart-watch race just heated up! Today, Samsung revealed their Galaxy Gear. 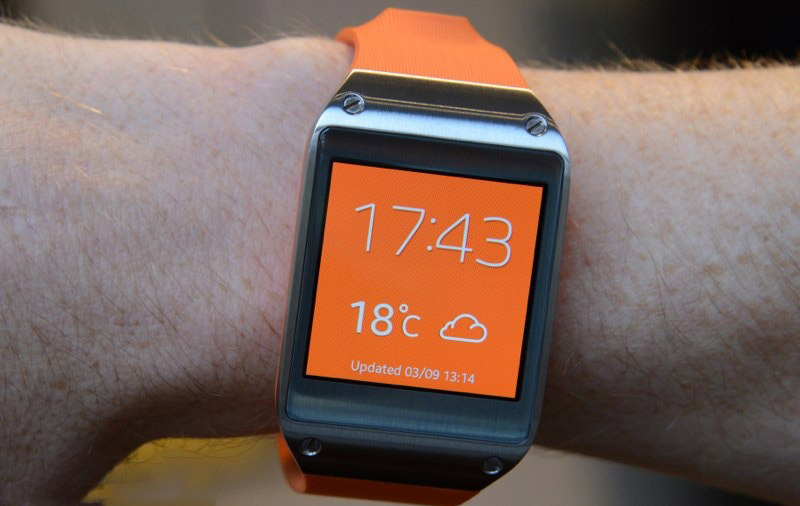 The Galaxy Gear sports a 1.63-inch AMOLED display, an 800 MHz processor, 512MB of RAM, and can apparently last a full day on its 315 mAh battery with regular use. “Great, yet another device to keep charged,” we hear you saying. Hear us out. You can make and receive hands-free calls via the Galaxy Gear, receive text message and e-mail notifications, dictate new e-mails, issue S Voice commands to your connected Samsung phone, set alarms and check the weather. Still not convinced? You can also capture 1.9 megapixel still images and 10-second video clips at 720p with sound. Quite a few apps will be available at launch including RunKeeper, MyFitnessPal, along with social media apps like Path. According to Samsung, around 70 optimized apps will be available at launch. Launches September 25th, $299, comes in 6 unique colors. 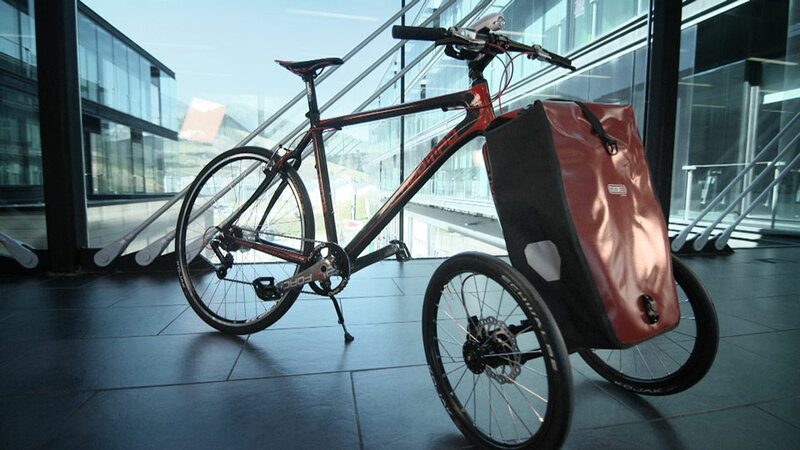 Let’s face it, carrying cargo of any kind on a two-wheeled bike is a hassle. The Noomad A 18″ double front wheel system for cycles aims to change that up. The kit attaches easily to your existing bike frame, replacing your front wheel and fork with double 18- or 20-inch wheels. The cargo area resembles the cradle of a handcart, allowing you to strap bags, a child seat and whatever awkward load you can imagine. An integrated Bengal Helix dual hydraulic disc braking system is controlled by a lever that attaches to your handlebars. Weighs 3.5kg. If our euro conversions are correct, this baby will run you just shy of $600. External links are provided for reference purposes. Wired Planet is not responsible for the content of external Internet sites. Some products may be provided or other financial consideration involved in our reporting. E-Mail Subscribe to our Feed!